A visit to the ER for cold symptoms turned out to be a serious case of pneumonia and an admission into the Medical Ward. Days later, 58 year old, Mr. Tiaina Maninoa was diagnosed with metastatic cancer to the lungs and bones. What the family thought to be a few days in the hospital to get well before the Christmas holidays, has turned into a longer stay in the hospital with little time to enjoy the holiday season. Mr. Maninoa is employed at the Utulei Sadies by The Sea as a groundskeeper. His daughter, Faapala Tele’a (26 years old) has now taken the full responsibility to care for her father because her mother, Malia had passed away earlier this year. Her father has been a patient at LBJ for over two weeks and it appears that he will be in for at least another two weeks. Though Mrs. Faapala has 4 children who are 7, 5, 3 and a 10 month old baby, she manages to find family members to help her with her kids while she tends to her father’s needs. At this time only her husband, Kalata Tele’a is providing for their financial need. 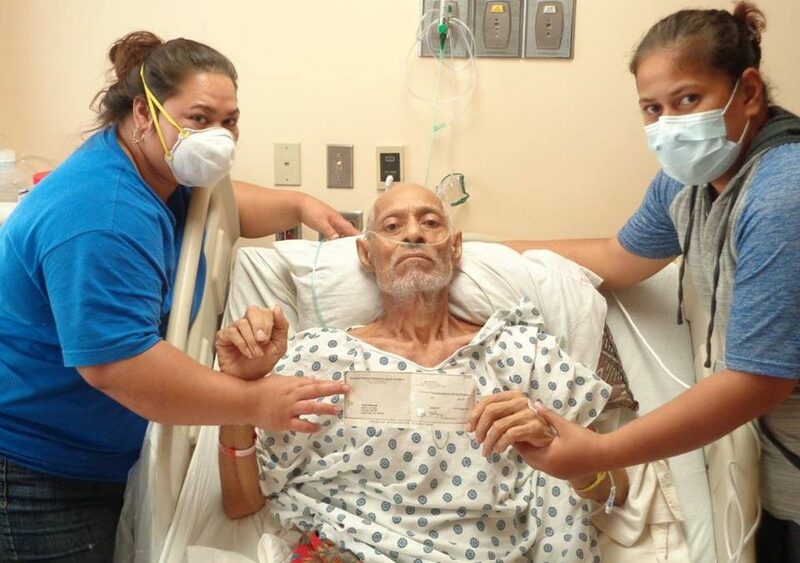 Because Mr. Tiaina Maninoa of Pago Pago was unable to come to the ASCCC office, Social Worker, Pamata Aoelua made the request to have the $500 stipend check sent to him in the hospital. ASCCC’s Financial Stipend program is only possible because of people like you who wholeheartedly give.